English Victorian style fireplace basket or fire basket. 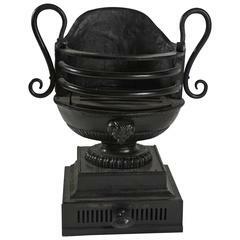 The fireplace grate is made of cast iron and wrought iron. The total width of the front of the grate is 23.8 inch (60.5cm). 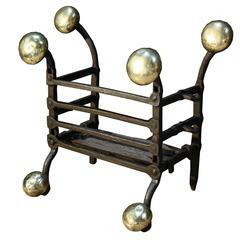 Handmade from wrought iron with brass embellishments.